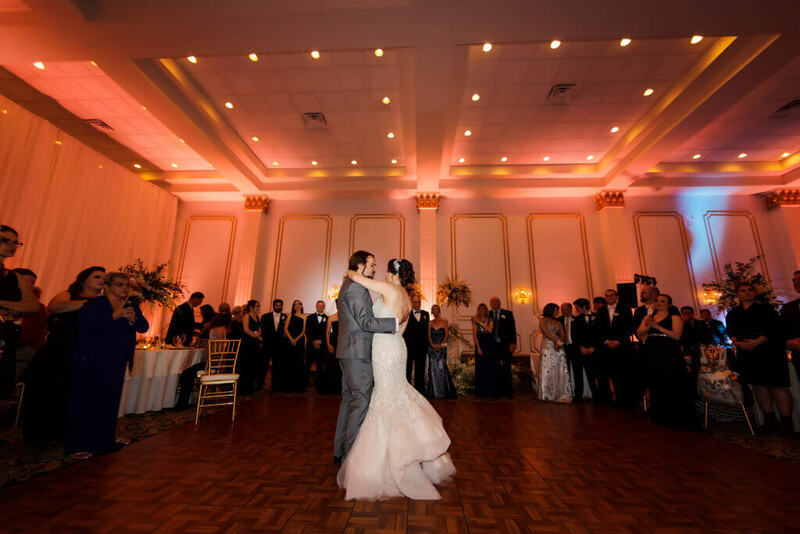 Catherine and Adam’s wedding was exactly that. 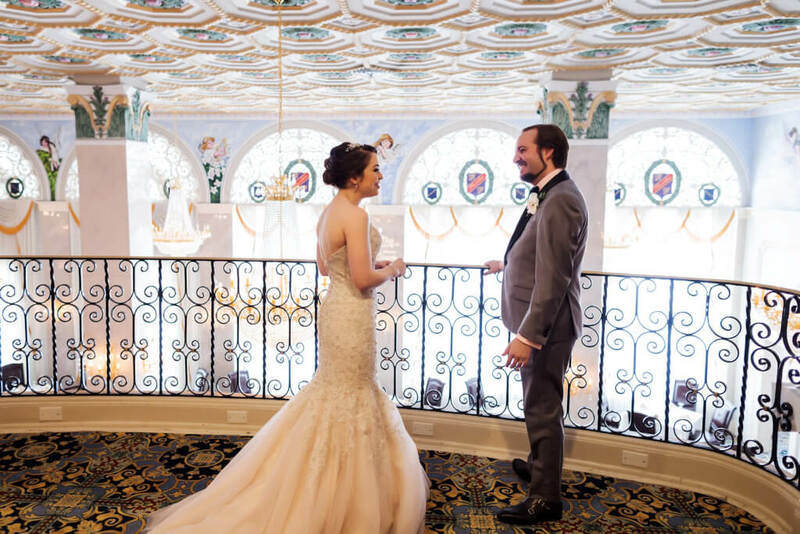 They chose the beautiful, historic Floridan Hotel, now on the National Register of Historic Places as The Floridan Palace Hotel. 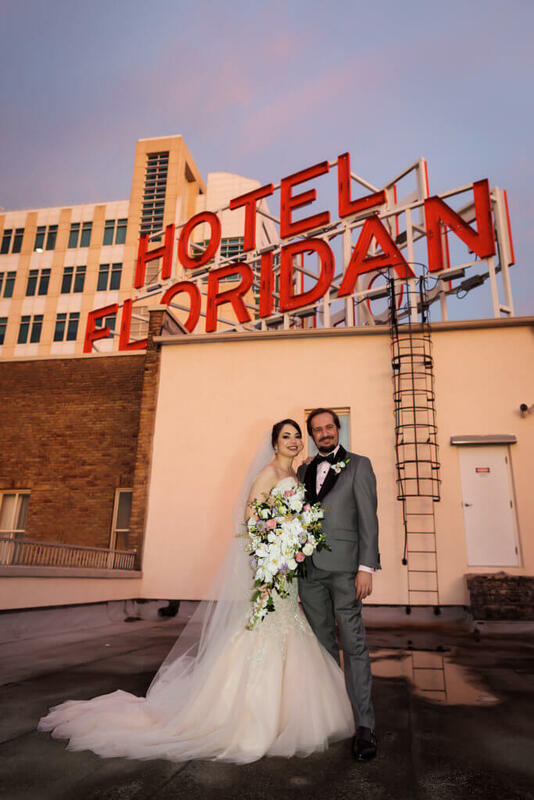 Originally opened in 1927, the hotel is the only Tampa hotel on the national register and until 1966 was the tallest building in Tampa. 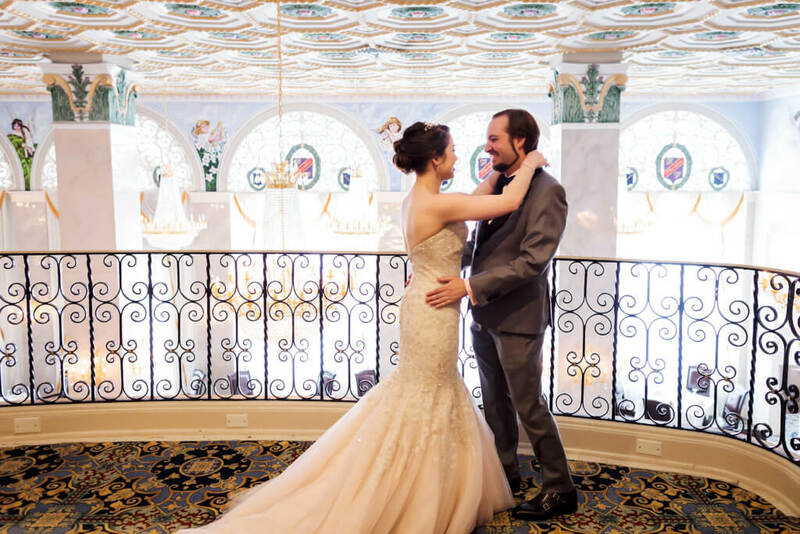 This beautiful hotel was the perfect backdrop for this couple’s unique, vintage inspired wedding. 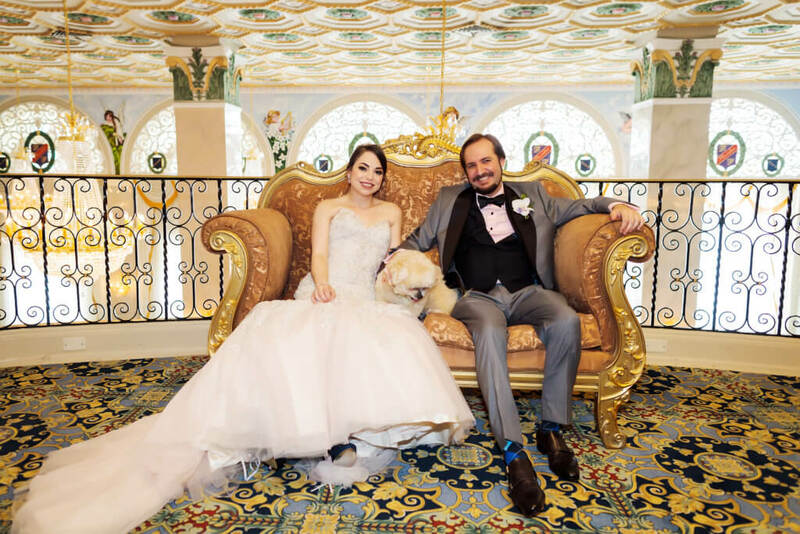 Catherine looked stunning in a form-fitting strapless gown with a sweetheart neckline and flared bottom, overlaid with lace and shimmering details. 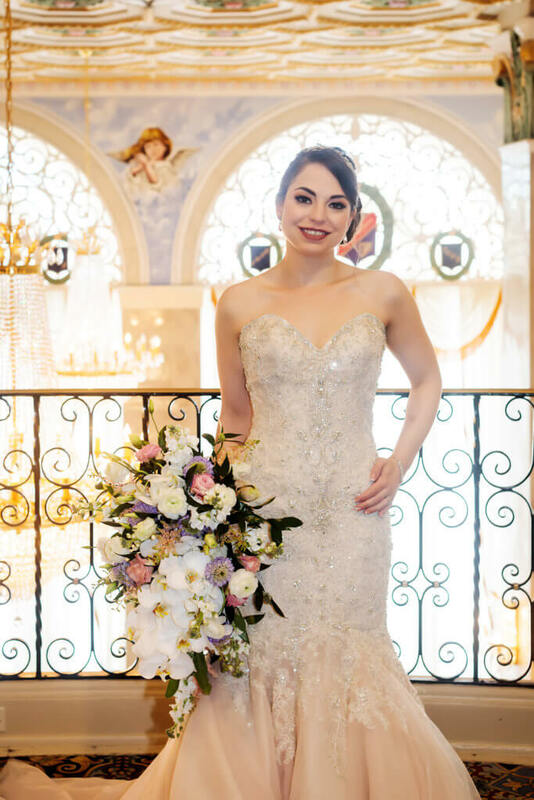 A long, cascading textural bouquet in white, pinks and lavender was the perfect accessory to this vintage-inspired wedding gown. 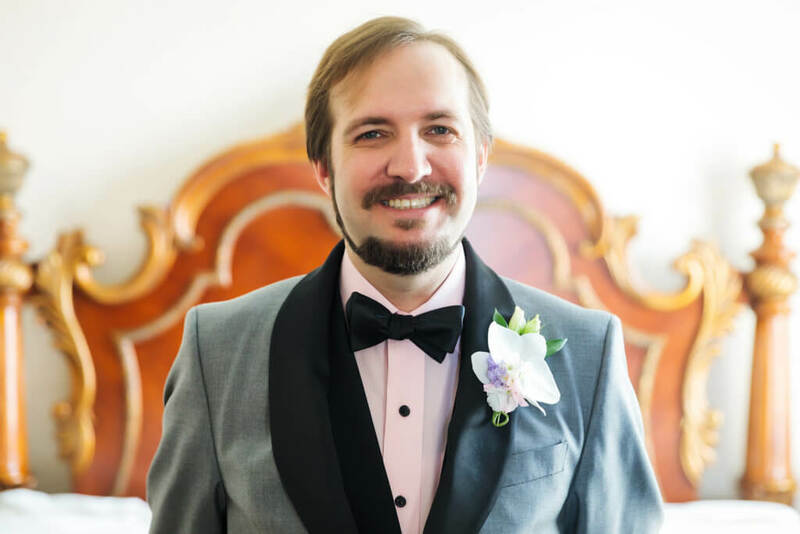 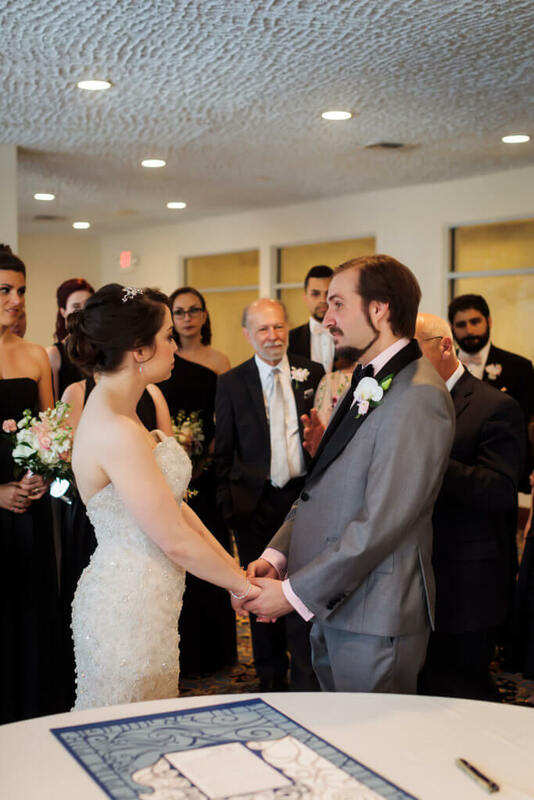 Adam chose a charcoal grey, retro tuxedo with a black satin shawl collar. 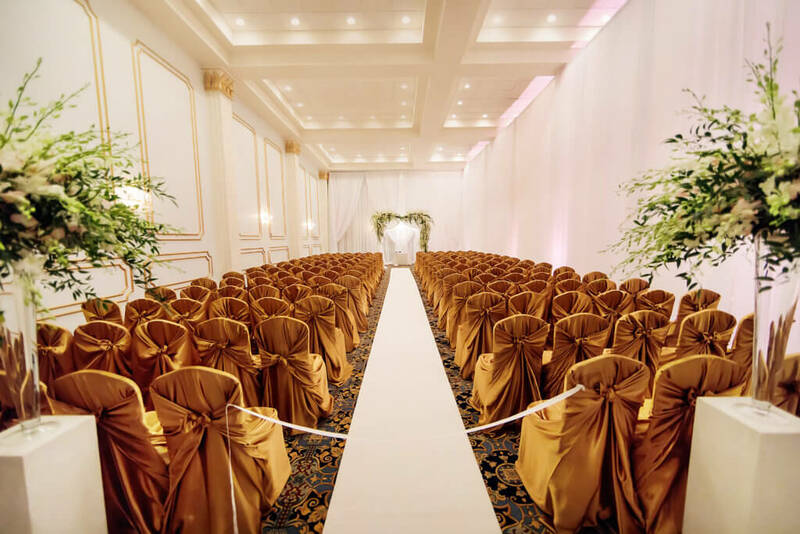 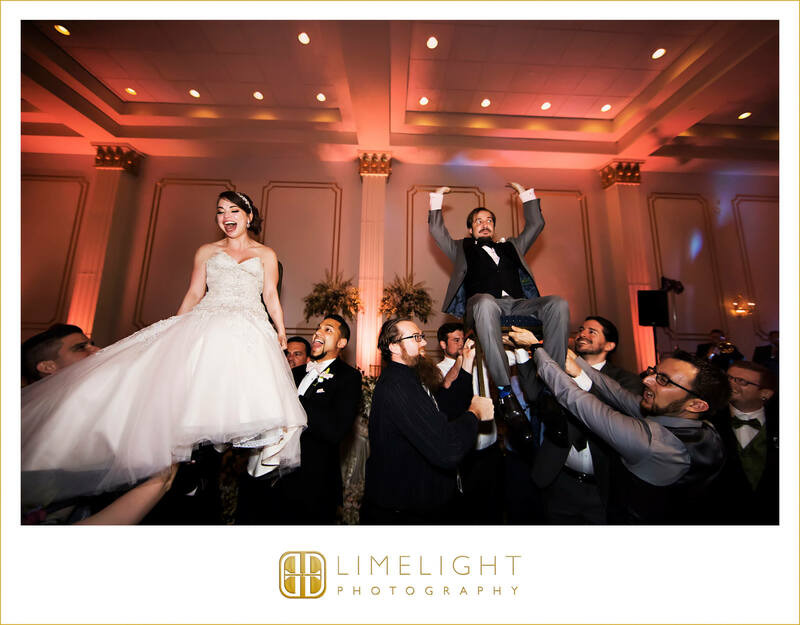 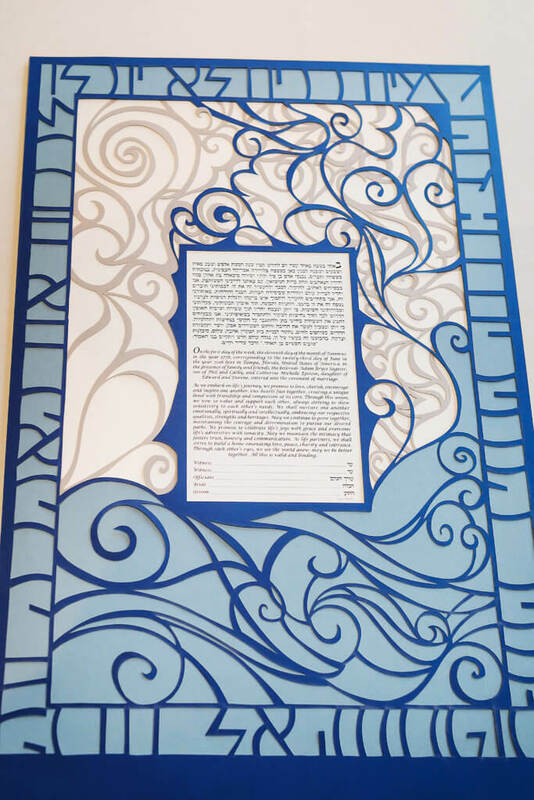 The couple had their first look in the hotel’s mezzanine and did the traditional ketubah signing with family and friends prior to their wedding ceremony. 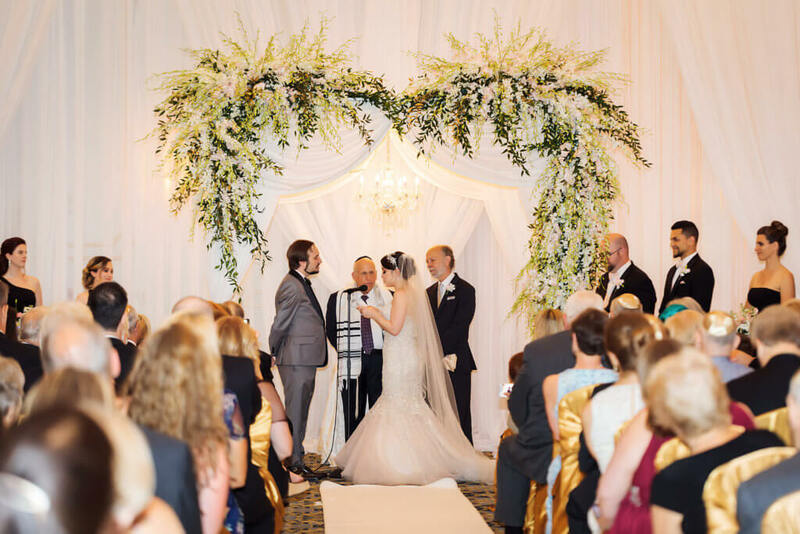 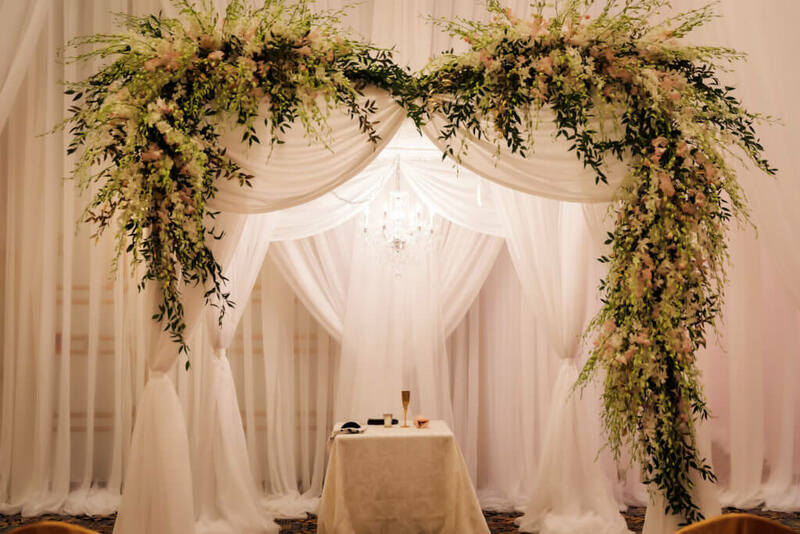 Their traditional Jewish wedding ceremony was held under this breathtaking chuppah where the cascading explosion of white dendrobium orchids formed the heart shape over their heads as they exchanged vows. 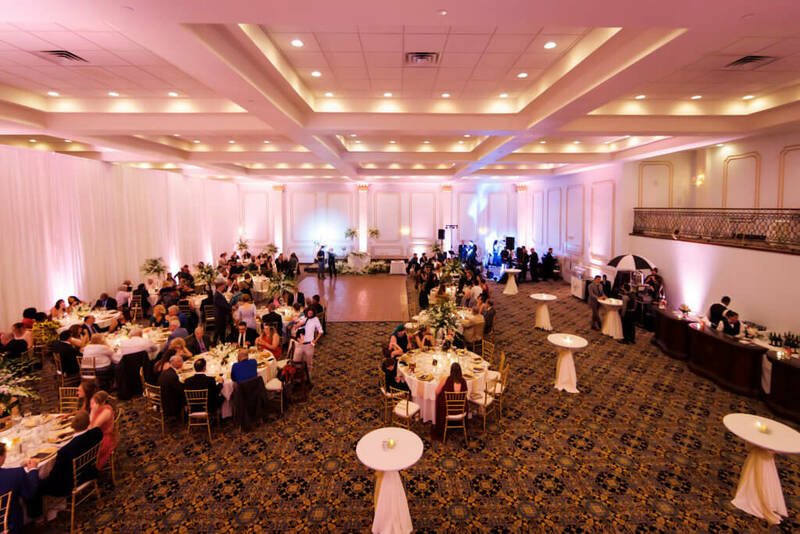 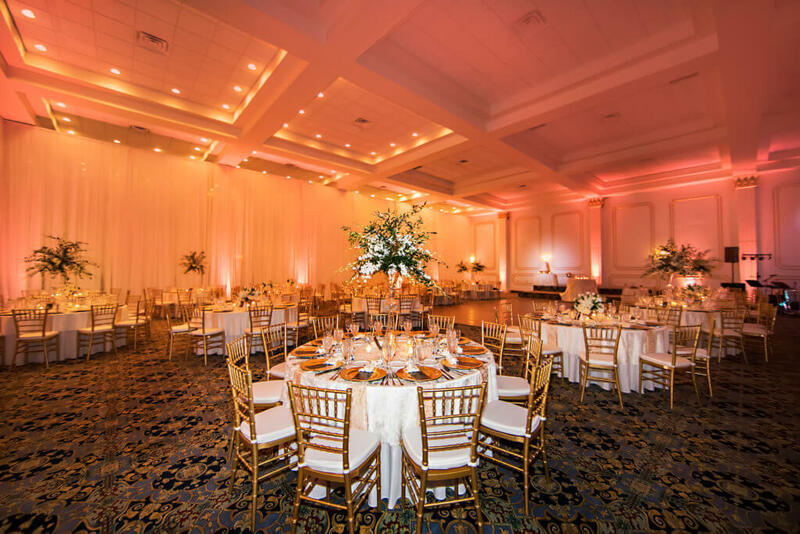 Dinner and dancing followed in the historic Floridan Place Hotel’s 10,000 square foot Grand Ballroom. 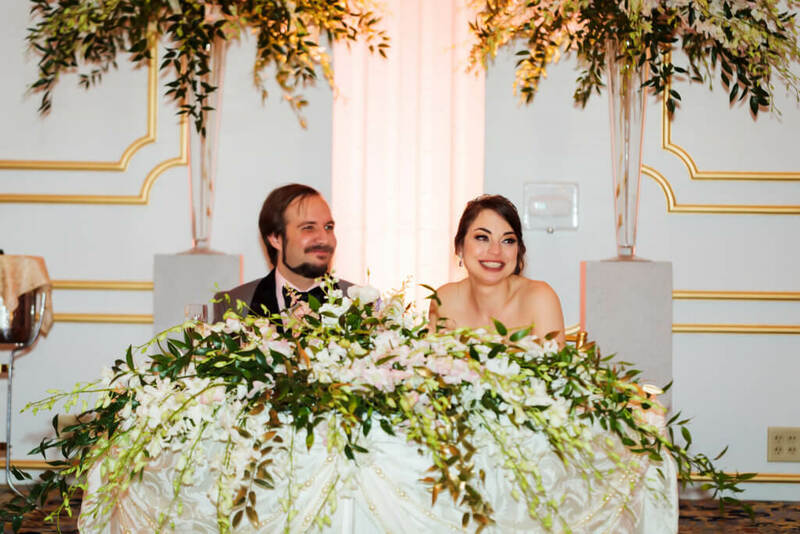 Keeping with the gilded age vibe the reception guest tables were draped in off-white patterned linen with gold chivari chairs, gold charger plates and white floral centerpieces in gold urns. 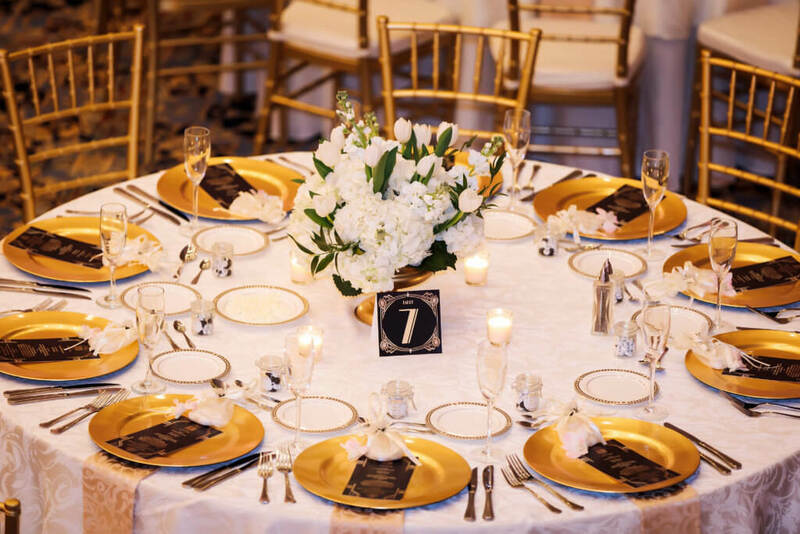 Art deco inspired black and gold custom menu cards and table numbers completed the look. 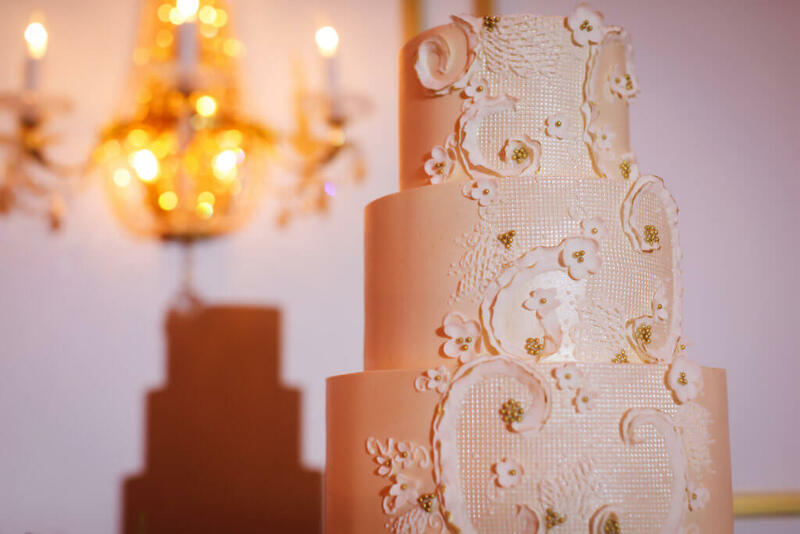 In addition to their five-tiered wedding cake with vintage lace appliqué design, they made the perfect nod to their New Jersey heritage with a dessert display of mouthwatering treats. 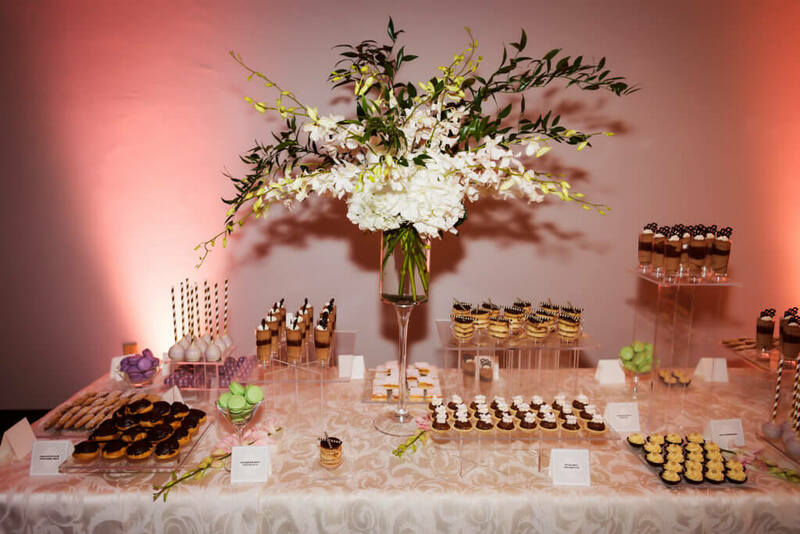 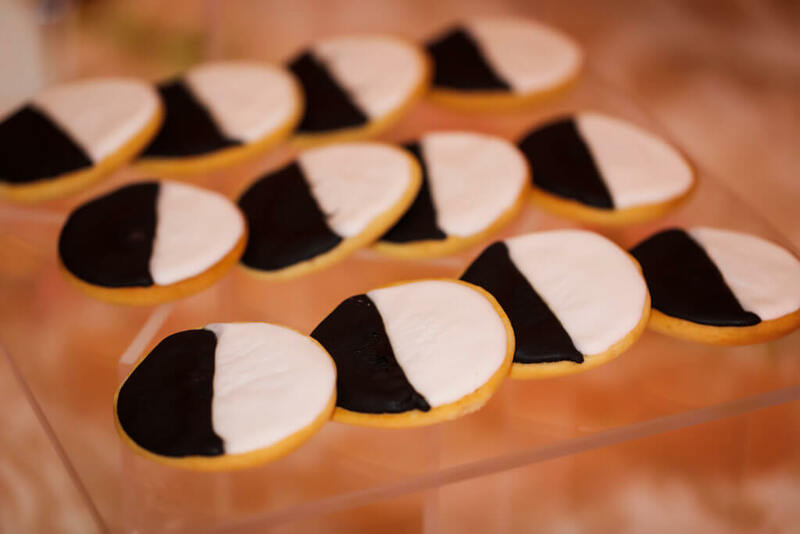 What dessert table would be complete without traditional black and white cookies, gelato and a gourmet espresso cart.